Recently Securities and Exchange Board of India- SEBI attached all the bank accounts and realty assets of two Sahara group companies. The SEBI order is expected to freeze the realty projects of the group. SEBI orders freezing of all properties owned and held by Sahara firms. Freezing the accounts and real estate assets of two Sahara group companies, Securities and Exchange Board of India attached their properties. The order of SEBI will affect the real estate projects of the firms. Aamby Valley City project, an ultra-luxury township project with golf club and other modern facilities, is one of them. Sahara India hunts for global iconic properties. And the firm lays its eyes on Air India’s landmark headquarters at Nariman Point in Mumbai. 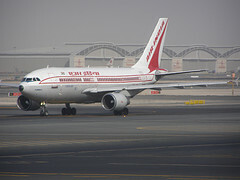 Air India shakes its head in negation to Sahara’s bid. Debt- driven Air India has recently disclosed its plan to lease/ monetize its real estate assets to cut off its debts. The national carriers was planning to lease out 20 floors of its headquarters at Nariman Point while keeping the top three floors for its own office purposes. 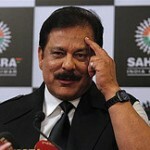 Real estate investors are already refunded, claimed Sahara firms. 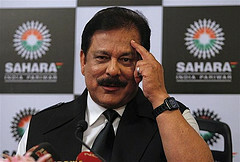 Subrata Roy, the chairman of Sahara groups, claimed that Sahara real estate firms have already refunded the amount. Sahara Claims that they have refunded their OFCD real estate investors. A December 9 advertisement showed that both Sahara firms – Sahara India Real Estate and Sahara Housing Investment – have paid SEBI Rs.2,620 Cr. The real estate firms have paid an additional Rs.2500 Cr as well in defense in form of buffer amount. Supreme Court granted some more time to Sahara to pay off the fine. SC asked SEBI, the market regulator of Securities and Exchange, to accept the extension application of Sahara Real Estate Firms. Sahara Real Estate Firms finally had some breath of relaxation. 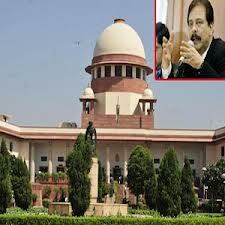 Accepting Sahara’s plea, SC asked SEBI to accept their application for more time to pay off the amount. The Supreme Court of India severely criticized Sahara Groups for not refunding Rs. 27,000-Crore to its investors. 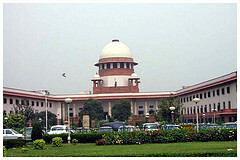 SC further ordered the Sahara Groups to refund the amount to the investors within a week. SEBI fails to bring legal action on the Sahara real estate firm even after they fail to comply with the SC’s order. Supreme Court, the Apex Court of India condemns SEBI over its light and soft dealings with Sahara Group. The the market regulator SEBI (Securities and Exchange Board of India), is invested with the duty of protecting the investors’ interests in securities. SEBI, through appropriate regulations, promotes the development of the securities market. Piramal Realty Acquires Gulita For 452 Cr From HUL. Piramal Realty has acquired Gulita – property in south Mumbai from Hindustan Unilever for R452Cr. Piramal Realty is planning to develop high-end luxury apartments on the one-acre land and Ajay Piramal might keep a part of it for his personal use, given the premium location, according to ET. Gulita is a one-acre property in Worli Seaface, which used to house a training centre and private residences of senior executives of Unilever’s Indian arm. Gulita was built in 1968 and the land was taken on a perpetual lease from the Brihanmumbai Municipal Corporation–the Mumbai civic authority. The property was put on the block after the company set up a new campus in the suburbs of Andheri and shifted its training facilities there. Since HUL put the building on block, it has attracted several buyers which included Anil Ambani, Gautam Adani, Oberoi Realty and Sahara. Last year, Piramal Realty acquired a plot of land in Mumbai from Mafatlal Industries Ltd for about R760Cr. Khushru Jijina – MD of piramal Realty said that the company plans to develop five residential projects in Mumbai at an estimated investment of about R1500Cr. The company will develop about 30 million sq. ft. through land acquisitions funded from its own sources. Recently in real estate space, Housing Development and Infrastructure Ltd sold 2 acre plot in Mumbai to Adani Enterprises for R900Cr to repay its debt. Ascendas Property Fund Trustee Private Limited, the Trustee-Manager of Ascendas India Trust (a-iTrust) has acquired two operating Buildings in Hitec City 2 Special Economic Zone in Hyderabad, India, from Phoenix Infocity Pvt Ltd for R176.5Cr; while IL&FS Investment Managers bought Logix Group’s four office buildings in Noida for R600Cr. After Noida Lucknow to have the Realty Focus. Real estate gurus in the Noida region are worried a lot on Tuesday. Mega projects such as construction of the Formula 1 motor racing track were possible due to considerable political backing during the Bahujan Samaj Party (BSP) regime. However, farmers, caught in the recent land acquisition row in the same area are rejoicing after the UP election result. As Noida and Greater Noida, next to Delhi, had gained in prominence under Mayawati as the UP chief minister, Lucknow would get the same treatment now, experts said after the results to the five state elections were announced. So, now Lucknow may well become the new real estate capital of Uttar Pradesh under the Samajwadi Party’s rule in the state, as a result of clear shift from Noida at present. 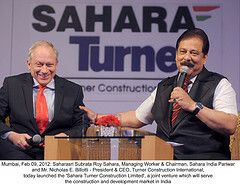 Sanjay Sharma of Qubrex, referred to industrialist Subrata Roy’s close associations with the SP. “They (Sahara) would gain. Sahara has Sahara City Homes in Lucknow and various places in Uttar Pradesh. He also said that “They have acquired a lot of land in UP”. As a result, even the small developers in Lucknow will benefit from this shifted focus.